Found this car on eBay, basically a pile of parts with a vin tag and title. 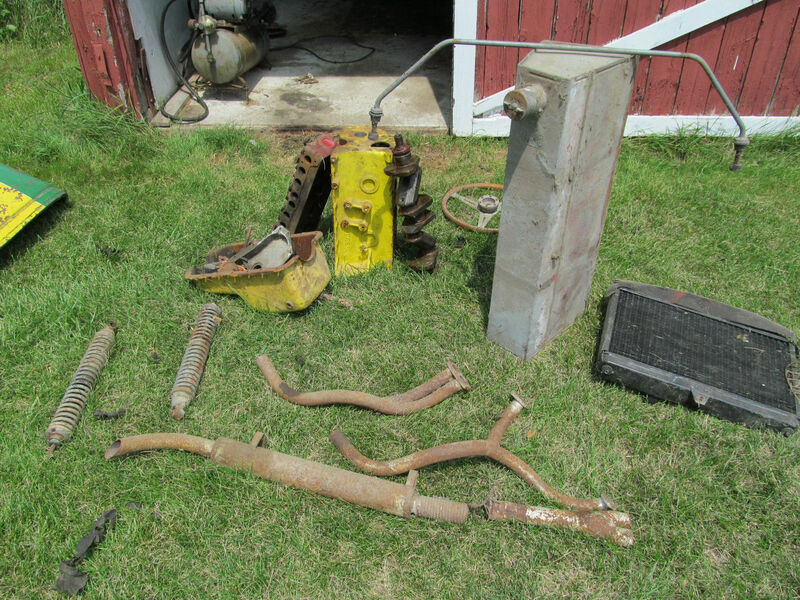 The seller, Roy Lueth, mused that "Some Assembly was Required" and while he listed some of the parts in the auction, the main missing part was the frame. Long story short, I had gotten involved with a 2000 Caterham that was born a race car with the understanding that a title and vin plate came with the car. Needless to say it didn't, and in attempts to obtain some sort of title, I thought this may had been the quickest resolution. Unfortunately or fortunately, once the parts were picked up, the parts were more of a car than was listed in the auction or I had expected. I spoke with the previous owner in depth and it appears that he had raced these Sevens back in the day, extensively in the 60's and 70's, and he had several of them. He had purchased SB1172 from the original owner back in 1972 and started to completely disassemble the car for restoration. 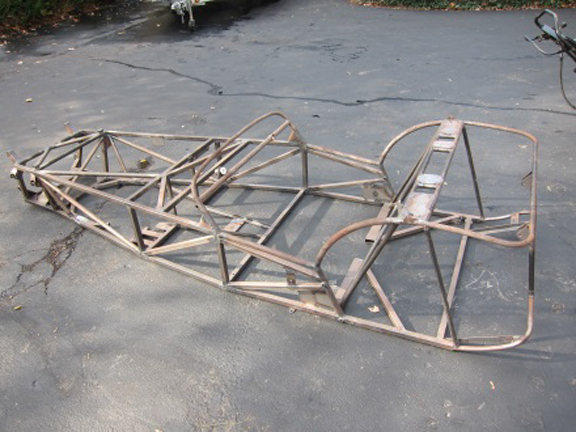 During the mid 70's, he crashed one of his other Sevens and since SB1172 was apart, he thought he would just use that frame for expediency until he restored the damaged frame. Well, as all good plans go, this didn't happen. 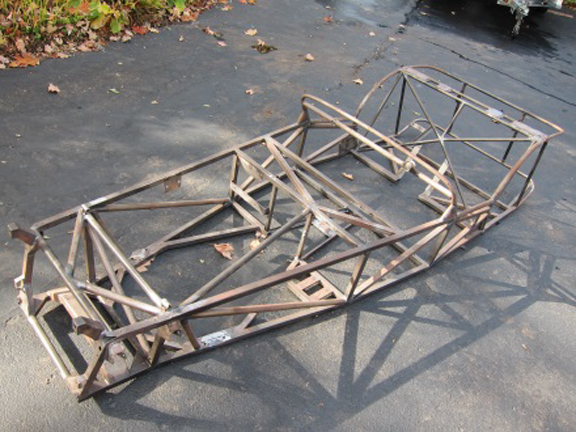 The race car was later sold with my car's frame and the damaged frame was never repaired and lost. So the remaining parts sat in boxes in Roy's shed until I bought it on 7/31/14. Once I was able to finally get all the parts, and started to go through them, it was more complete than originally thought. 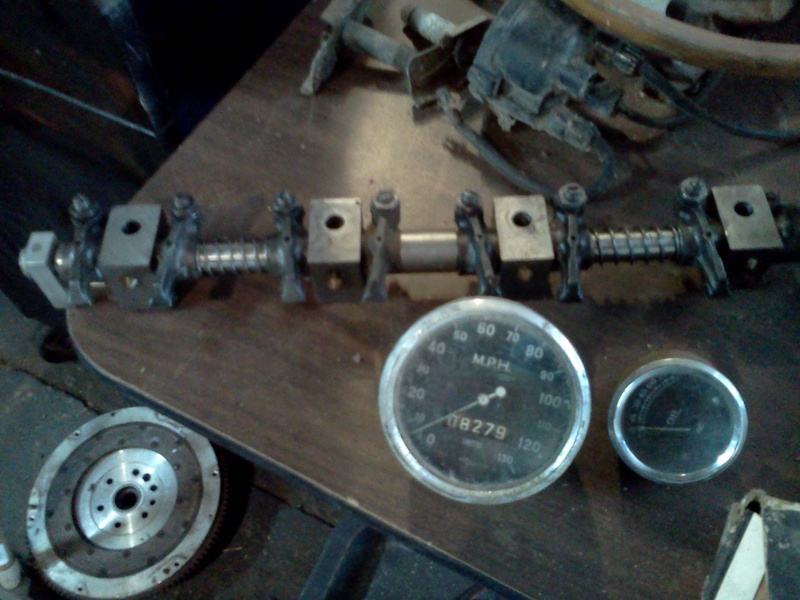 Roy had purchased the car from the original owner and all of the parts were from the original car. At this point, I had to restore this car back to the way it came from the factory. Given the vin number, SB 1172, This car was built in mid 1961 and fitted with a Cosworth 1340cc engine, 105e 4 speed gearbox, Standard 10 rear axle, and drum brakes all around. While I got several blocks with the car, one of the blocks matched the numbers on the vin plate. Also got the Cosworth modified rockers and Molex Steel crank with steel main caps. The first thing I had to do was to find a frame. Arch motors in the UK and Curtis Engineering were my first calls. 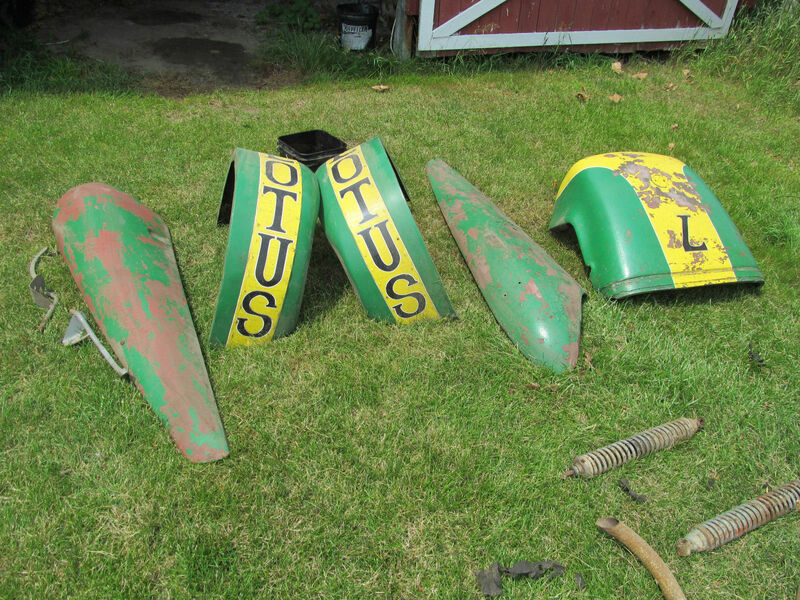 But before I was able to pull the trigger, I spoke with a former contact for Lotus Elan parts, Craig Chima. Apparently he had an original S2 frame that was about 200 cars after mine. The frame was owned by Paul Ray, who had added reinforements. While not original, I understand why he did it. The original frame was fragile at best. The story went, that Colin Chapman took a S1 frame and started to remove tubes to make it lighter if not cheaper to manufacture. 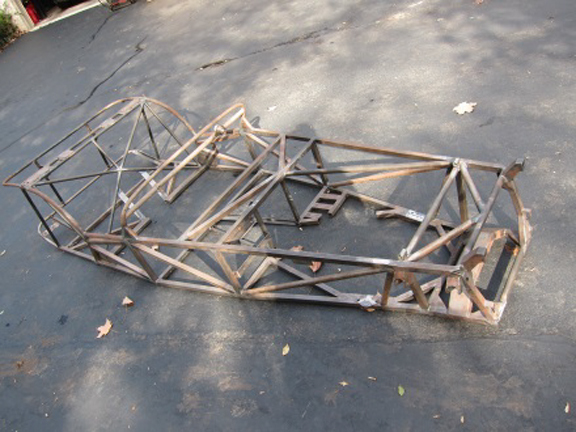 When the frame collapsed from it's own weight, he replaced the last tube removed, and this became the S2 frame. Paul Ray also had the aluminum skin that he ordered from Arch Motors, which was a nice find. Unfortunately, he was going to use a cross flow motor, so the intake was on the wrong side of the hood. Since the hood also had the louvers which was not original to my car, I decided to get a new correct hood. 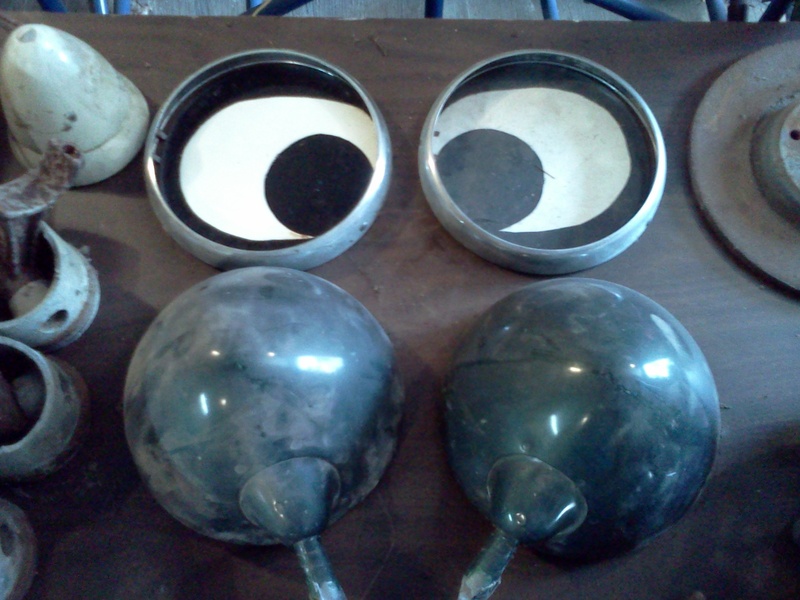 But at least, I have the scuttle and other aluminum parts for the car. Another problem was that my car was originally RHD and Paul started the conversion to a LHD on the frame. I was going to clean up the mods on the frame, so I will be restoring it to RHD as it was originally made.